The line-up of the teams for the Women's EHF Champions League 2017/18 has been confirmed after the EHF Executive Committee in Vienna has decided on all teams starting either in the group matches or in the qualification tournaments. 14 teams have been directly seeded for the group matches stage, while further eight sides including the four-time champions HYPO Niederösterreich and the 1995/96 winners HC Podravka will vie for the two remaining places in the qualification. In total five former champions - Györi Audi ETO KC, Buducnost (MNE), Larvik HK (NOR), CSM Bucuresti (ROU) and RK Krim Mercator (SLO) have been confirmed for the group matches, while at least four newcomers – Nykøbing FH (DEN), SG BBM Bietigheim (GER), Vistal Gdynia (POL) and Brest Bretagne HB (FRA) will be on the starting grid of the competition's first round on 6-8 October 2017. EXEC confirmed three requests for upgrades of the EHF Cup clubs to the European top flight. Last year’s EHF Cup quarter-finalist Brest Bretagne have been seeded directly for the group matches, while two others – Vipers Kristiansand (NOR) and Thüringer HC (GER) will start in qualification. The playing system has been introduced already before the 2014/15 season. There will be just one qualification round before the group matches and the main round will consist of twelve teams (two groups of six). The top four teams from each main round group will then qualify for the quarter-final knock-out phase, before the final remaining four teams compete in the season high point, the Women's EHF FINAL4. The seeding list and the draw procedure of the first draw event of the season will be published at the beginning of next week. 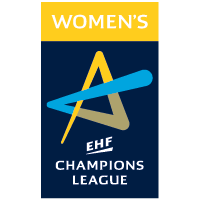 The draw for the qualification tournaments in the Women's EHF Champions League will take place on Thursday 29 June at 11:00 hrs at the EHF Office in Vienna and it will be streamed on Facebook live.